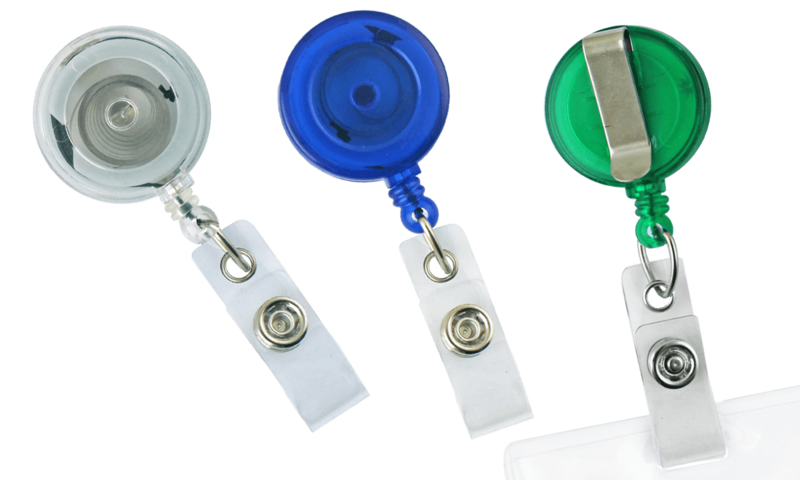 Clear vinyl strap (that attaches to your badge holder or ID badge). Translucent round plastic pull reel with clear vinyl strap and nylon cord. Slide-type belt clip on back to easily attach to your clothing.